No matter where we are in France or home in the states, we love to go by a cafe and have a rich and creamy café au lait. It’s the perfect drink to sip while we’re doing some people watching along the village streets in Provence. 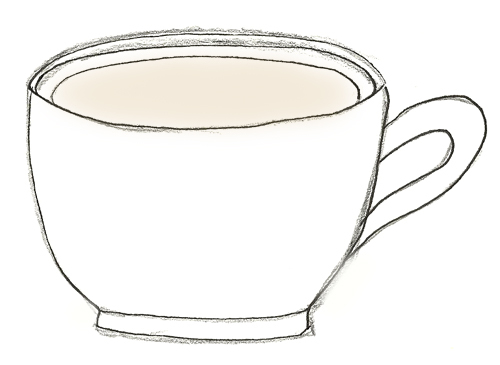 le café au lait, m. (coffee with milk), a French coffee drink made with espresso coffee and steamed milk and usually served in a white porcelain cup or bowl. 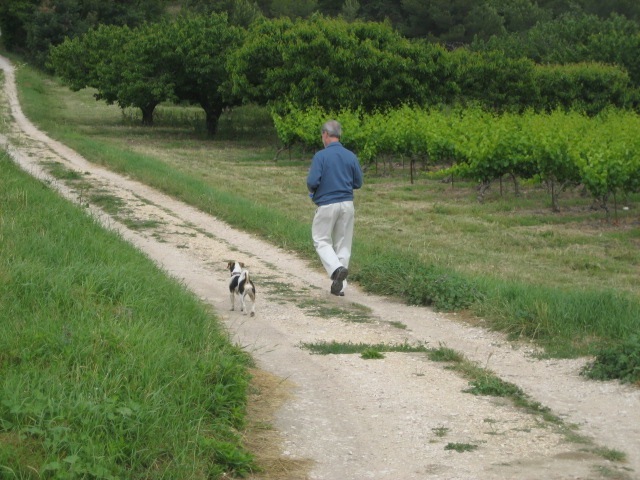 This entry was posted in Food & Wine, French Words To Travel By, In the Café and tagged Café au lait, Coffee, France, French language, Provence, Provence Escapes on May 10, 2013 by Provence Escapes. “When I was in Aix, I thought I would be better off elsewhere. I miss Aix. When you’re born there, that’s it. Nothing else appeals. – Paul Cezanne, July 23, 1896. Inspired by deep blue skies, bright red poppies and quaint honey-hued villages, Van Gogh, Renoir and Monet came to Provence to capture on canvas the intense light on the bucolic scenes of this beautiful region. 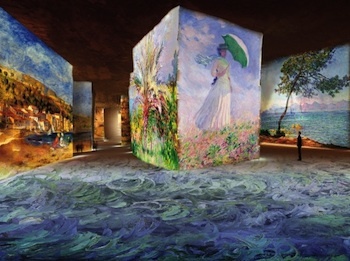 They all traveled south from Paris to paint coastlines, villages, mountains and vineyards. All but Paul Cezanne. For him, this beauty was just outside his door. Born in Aix-en-Provence, Cezanne had only to step out of his home to capture tree-lined avenues, ochre-colored houses and the mountain that loomed over the town and surrounding countryside. Mont Ste. Victoire was such a draw for Cezanne that over the years he painted and sketched it 88 times. 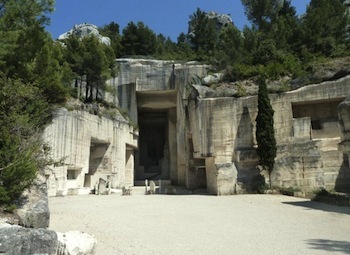 During our Provence tour this year, we’ll be spending a day in Aix walking in the footsteps of Cezanne, visiting his home, studio and the quarry where he painted. Our tour starts in Jas de Bouffan, the house where Cezanne lived for a number of years. The red-roofed house and lush grounds set back from the street is as picturesque now as it was when he lived there more than a century ago. Walking through the house and grounds is like stepping into some of Cezanne’s paintings. Between 1866 and 1895, Cezanne painted 36 oils and 17 watercolors of the house, farm, groves, chestnut-tree lined paths, the ponds and its statues. “I have to know the geology. The geological colors.” – Paul Cezanne on the Bibemus Quarries. Eleven million years ago, Aix-en-Provence was under water. The area where the Bibemus Quarries now stand was the beach. Over the millions of years that followed, the sand was transformed into calcified stone ranging in colors from grey white to deep ochre. 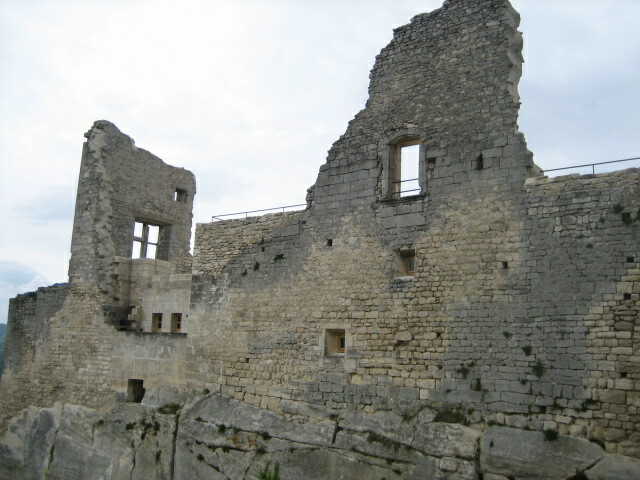 The Romans were the first to extract the stone and for almost 2,000 years the quarries’ limestone was used to build homes and churches. The quarries were abandoned at the end of the 18th century and what was left is a maze of arches and valleys. Deep within the quarry the walls of warm-colored rock are marked with long rectangular striations – evidence of blocks of rock being extracted by picks. Cezanne found the angular stones inspirational as he moved toward cubism, creating 27 paintings within the quarry and beyond to his beloved Mont Ste. Victoire. “Little Marie has cleaned my studio which is now finished and I am settling down there little by little…” – In a letter by Cezanne written to his niece Paule Conil. Of all the places to track Cezanne, it’s in his atelier (studio) that you’ll find him easiest. Hanging on hooks, sitting on tables and propped against walls are many of the objects he used in his still lives. A glimpse of just a few invokes many of his paintings. Scattered across the room are his tools of the trade – brushes, easel and flasks. At the end of one long wall is a tall narrow door through which Cezanne slid his oversized canvases so he could work outdoors. Dozens of works, many his masterpieces, including his last “Large Bathers,” were painted here. After his death in 1906, the studio was bought by Marcel Provence who lived there until his death in 1951. To save the studio, 114 American donors rescued it by buying the property and giving it to the Universite d’Aix-Marseille. This entry was posted in Aix-en-Provence, French Artists, Provence Escapes and tagged Aix-en-Provence, Paul Cézanne, Provence, Provence Escapes on May 6, 2013 by Provence Escapes. One of our favorite things to do in Provence is to go to a local café for breakfast (le petit dejeuner) and order a coffee and a croissant, the wonderful fragrant and decadent pastry that literally melts in your mouth. Life is good. 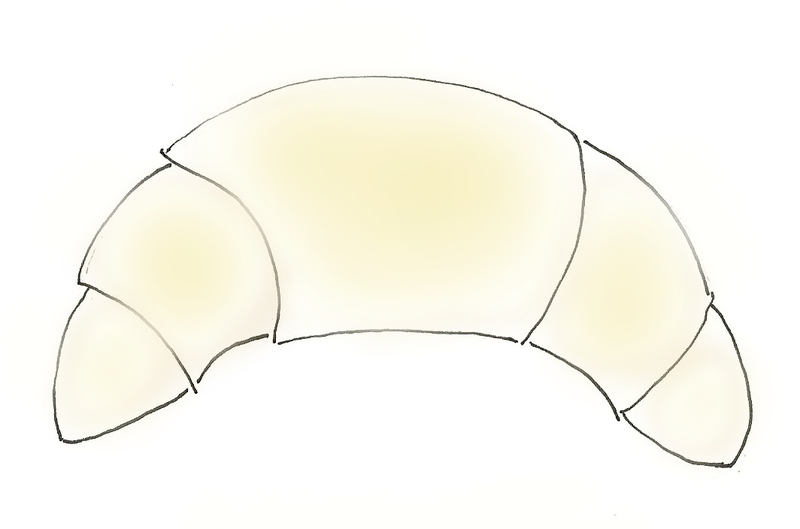 le croissant, m, (croissant) a flaky, buttery crescent-shaped French puff pastry often served with jam for a continental breakfast. 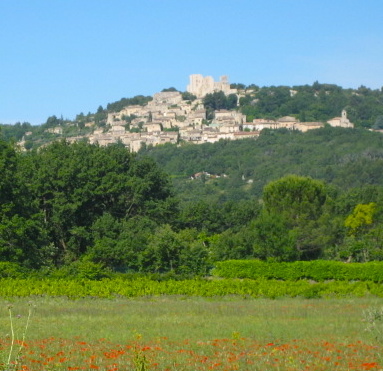 This entry was posted in French Words To Travel By, In the Café, Provence and tagged Croissant, French language, Pastry, Provence Escapes on May 5, 2013 by Provence Escapes. Chocolate bombs are these wonderful ganache covered cakes that often have a cream filling – kind of like a truffle with a layer of cake between the rich filling and ganache covering. 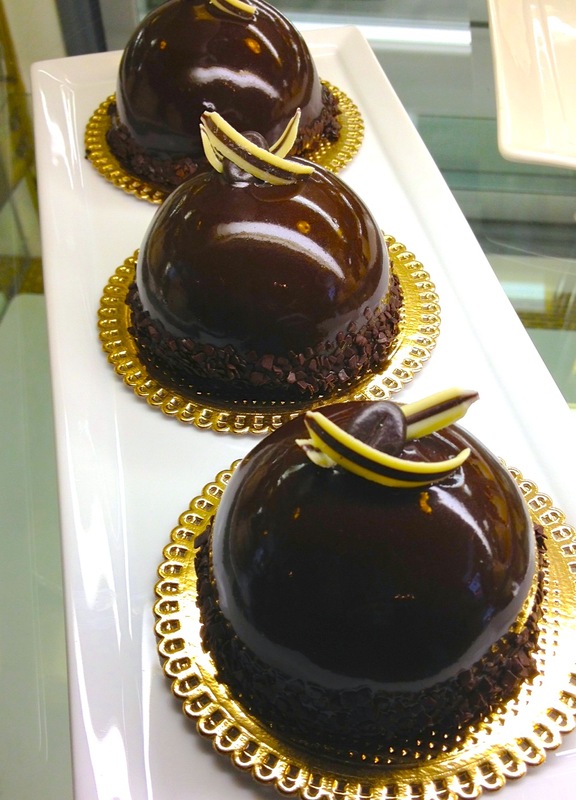 We found this version of the chocolate bomb at the Donatelli Cafe and Bakery in Asheville, NC. Not only are they beautiful but they taste just as good as the ones we’ve had in France. This entry was posted in Food & Wine, French Food and tagged Asheville, Chocolate pastry, French pastry, ganache on May 4, 2013 by Provence Escapes.